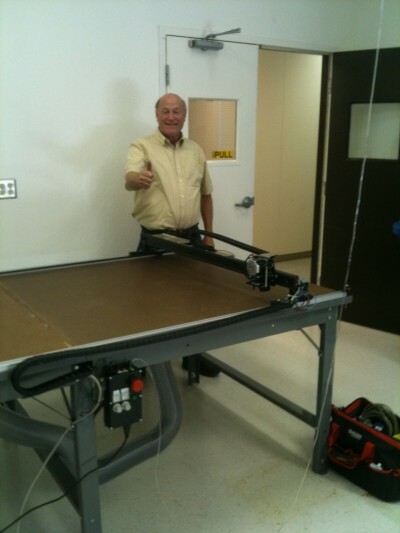 We head to San Francisco to install our smallest cutter, the STx-48 at Medtronic at their facilities in Santa Rosa. We call this our Napoleon cutter — it’s little but it conquers big jobs. Working with Rod Gundy, we setup the studio to cut prototype packaging. Using our Carbide Drag blade holder, the Studio cuts paperboard and E-Flute corrugated cardboard. Medtronic can now quickly produce 3 or 4 prototypes in a single day, where it previously took 3-4 weeks. 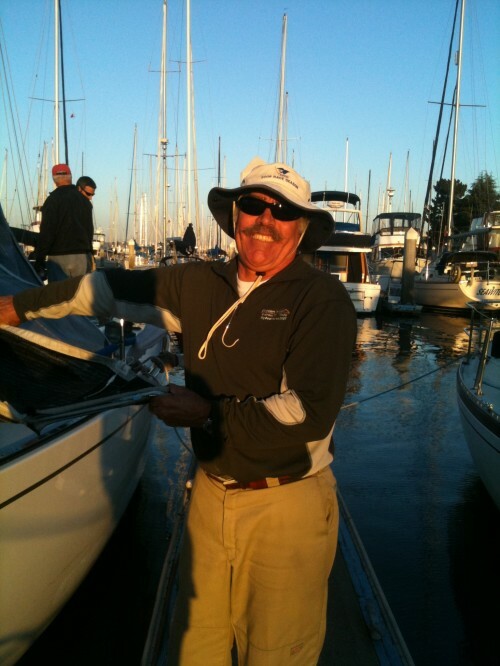 While in San Fran, we visit our long time customer Kame Richards at Pineapple Sails. Kame’s plotter/cutter looks like the day it came out of the box almost 15 years ago. 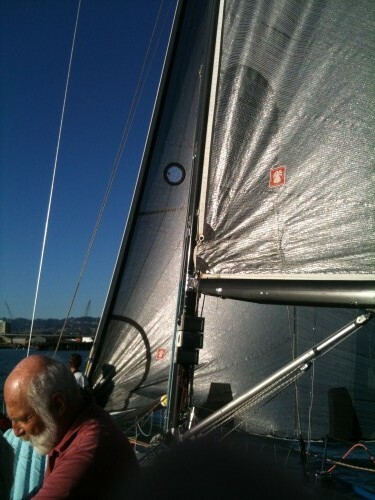 While we were visiting, Kame took us sailing for Wednesday night racing — very exciting – Kame won! After San Fran, we head to LA to visit Vatche Azirian at Alpha Productions to discuss where they are going to install a PT-108” for to cut retractable awnings and other custom products. After advising layout, Vatche will be is installing his own system December 2010. Looking forward to a great looking system to show just minutes from LAX! From LA it’s back to Tulsa – great trip! Thank you Rod, David Lopez, Kame and his wonderful wife, and Vatche for a very productive and fun trip to the west coast.